Jim Carrey in the feel-good picture of the year, this ain’t. But if you’re looking to be diverted from your troubles with a non-canonical Seuss-ish movie, drop the nine bucks on a ticket and kick back. The movie follows the hapless Horton (Carrey) , an elephant who teaches the strangely shaped children of the Jungle of Nool (including the terrifyingly bizarre “Katie,” a multi-colored, sheep-like creature who can float). Horton discovers a speck of dust, on which lies the city of Whoville. They’re not the Whos of Grinch-related fame, but Whos they are nonetheless. The mayor of Whoville (ably portrayed by Steve Carrell) requests Horton’s help in saving his Whovilization from almost certain doom, but Horton is met with resistance from the stifling censorship and closemindedness of Kangaroo (Carol Burnett). The two most famous Seuss lines in the movie are: “I meant what I said and I said what I meant; an elephant’s faithful, one hundred percent,” and “A person’s a person, no matter how small.” For the record, the first line doesn’t even appear in the original Horton Hears a Who, but rather in Horton Hatches an Egg. What’s that? Who cares about which book it was in? That’s right. I care. Me, the guy who wrote a 30-page paper on Dr. Seuss for his 20th Century American Literature class! It’s still true, though. 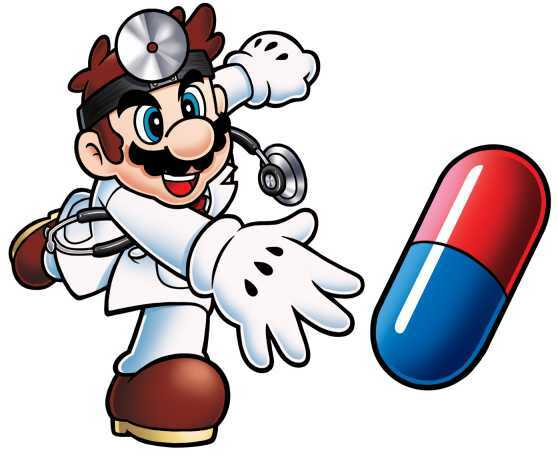 A person’s a person no matter how small, whether 4 or 40, a blasted liberal or a blastocyte. Except for emo kids. Yuck. They turned the “shirker named Jo-Jo,” who taught in the book that “every little bit helps” and “everyone needs to work together to be productive,” into the mayor’s whiny emo son. I call it Seuss-ish because the good Doctor’s books are just so short, it’s difficult to make a feature-length flick out of them without a good deal of fluff, so know what you’re getting into: an 88-minute diversion with several laugh-out-loud jokes, but no real staying power. I give it a “Bwei” out of “Bweinh!” (4 out of 7). This week’s question — Who is the best author of all time? C.S. Lewis — his worlds and interests are many, vast, and diverse. His plots and characters are convincing. His fiction engaging, his nonfiction convicting. C.S. Lewis — an engaging yet convicting body of work with individual pieces suitable to any level of sophistication. Henri Nouwen. Such amazing insights and such a humble spirit. James Michener. A man totally devoted to the task, he never spent a day without traveling, learning about and then writing about this globe. T.S. Eliot. His intricate and masterful poetry presents new layers of powerful imagery and cultural truth with each and every reading. Frank Herbert. Amazing, creative, poetic, intuitive. Kaitlin played no part in the determination of this issue. Next time: What is the most overrated band? I’ve never liked chickens. Dirty birds, struttin’ and cluckin’ around the barnyard like they own the whole dern farm. What secret power do they hide that allows them to wake before the sun and run around headless? I don’t know, but I’ve always suspected some sort of larceny was involved. Well, now these avian sneakthieves are in for a rude awakening, thanks to the detective work of Professor Graham over here. All that’s left is for him to give us the skinny (some 1913 lingo for you) on how to get our hard-earned scratch back from the chicks. So what’s the word, Prof Graham? 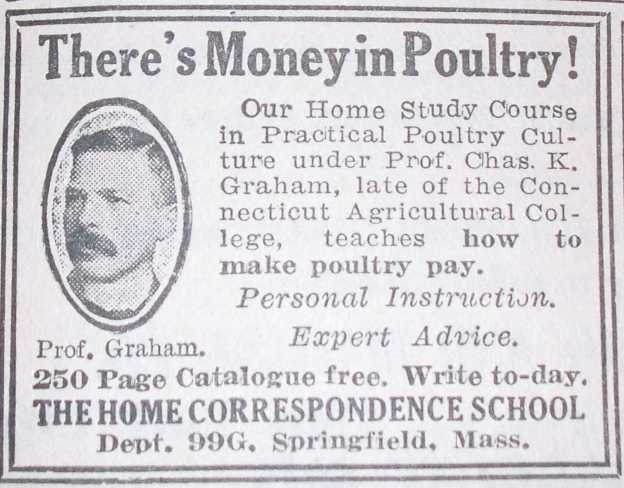 And while we’re on the subject, what precisely do you think would be in a “home study course” for “practical poultry culture”? A dozen eggs and sheet music for The Chicken Dance? Do you reckon Chas. 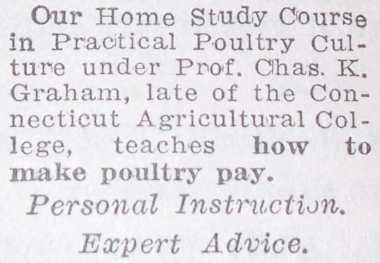 had an IMpractical poultry culture class, where you could train the birds to ice skate or play the piano? Oh 1913, why must your mysteries be so elusive?! View the whole ad here. I am here at my beloved alma mater for the first extended length of time since my graduation almost (gulp) nine years ago, working on the beginnings of my doctoral dissertation. I am in a strange building which resembles a large Country Inn & Suites except for the London Underground-style sign over the door that assures me this is actually the College Flats. Good to see the Anglophilia of recent years is intact. 1. I’m different than I was then. For one thing, I had a wife and almost-two-year-old daughter in tow. They dropped me off here and continued on to Jill’s parents, where they’ll spend the week while I work here on my paper. Grace, my daughter, gleefully announced, “This is where Daddy lives now!” Yeah, I’ll miss you too, kid. So much is different in my life than when I was here last. The people I love are different. Some are gone, like my Grandpa Lindley who taught at Houghton. Some are forgotten. Some are loved more intensely than I thought possible when I was here, like Jill and Grace. My outlook on life is different; I realized how much of my four years here were spent in crisis mode. Sometimes, I ran from the crisis, and sometimes I romanticized the crisis and wrote poetry about it, but I always felt like I was in crisis. I always wanted to prove myself as a student, as a popular guy on campus, as a spiritual leader, as a friend, as a boyfriend, as a comic. I had to be the best at everything, and it had to appear effortless. As I ran tonight around campus, I was at times painfully aware that I am 30. Flecks of gray, the whole thing. But I was also relieved not to be 20 again. I was relieved that I’m out of that stage where I feel like I have to separate myself from the pack, that so much depends upon every little move I make. I’m relieved, frankly, that I have learned the spiritual value of inertia: that sometimes there is real value in simply staying put, in not doing anything but simply being and listening where you are. I’m relieved that I don’t feel like I have a future to create anymore. I have a future, but it is entirely in God’s hands. In my case, this was a lesson I could learn only from the passage of time; perhaps some 20-year-olds have it down, but I think my experience is not uncommon. 2. God is so much better than we ever realize. As I reflected further on my 20-year-old self, I realized how little I would trust that person if I met him today. And yet, when I think about the major life decisions that 20-year-old made, I’m stunned at how well they turned out. I married wisely. As a pastor, I know how many people lament their marriage choices. Blinded by hormones and inexperience, in the fishbowl that is Houghton life, it can be difficult to choose a spouse well. And yet no other decision besides my decision to follow Jesus has shaped me so profoundly for the good as my decision to marry Jill. She balances me, teaches me, learns from me, supports me and gives me someone to support. We have the tools to raise children well who will help in building God’s Kingdom, and we have complementary gifts to do our own Kingdom-building with our time here. A 20-year-old can only make such a decision well with God’s help, and He has been faithful and good. Same with my decision to enter seminary. That decision was made about 2 in the morning as I worked overnights at a gas station between my junior and senior years in college. I had hoped to go to grad school for history, but came to a realization at a certain moment that I simply could not do that and needed to focus my energies on something related to the church and worship because those were my real God-given passions. How the heck does a 20-year-old know what those passions are? Perhaps some 20-year-olds do, but I didn’t. But God was faithful and good and opened up a door I never could have imagined, leading me into graduate work in Liturgical Studies, which I literally did not know existed when I decided to go to seminary. This work has given me life and God uses me in it to bring life to others; and my decision to do it was not of my own strength, but completely God’s. 3. I still don’t know very much. There are enough 20-year-olds who write for this website that I want to be careful to say that I’m not now endowed with perfect perspective on life that you don’t have. On the contrary. As I ran tonight, I realized that things will be different when I am 40, and that the little dreams I dream today will probably die and be replaced by better dreams than I can imagine. That’s simply the way of the God we know, who called Jeremiah to buy a field in the middle of a war, who called Noah to build a boat long before the flood started, who called Peter to eat dirty food and bring dirty people into the Kingdom. It is, in fact, the same God who chose to bring salvation into the world through the womb of another confused teenager, the young virgin Mary. May God continue to do great things through unwitting people; may he continue to sow life in the world through the blind, faithful flailing of youth, and old age; may he use you in all your inadequacies, all your anxieties, all your flaws. In this corner, arguing for felines, is Connie! And in this corner, backing canines, is David! Ever since I taught my younger brother to play chess I have been avoiding this day — the day of face-to-face competition. Now you\’re going to see why I hid the chess pieces. The first thing I noticed about my dear brother\’s piece is that except for our own canines, every other dog he mentioned was fictitious. Why is this pertinent? Well, I submit that my esteemed opponent lives in La-La Land with those fake doggies. Here\’s what happens in the real world, Dave. Thanksgiving ’98: I run home for a stick of butter I left on my kitchen counter. As I enter, I encounter a strange smell that could only be described as “fouler than death,” and the butter is missing. When I call my dog, she slinks over to me. Suddenly, I see why: there is butter-induced dog puke all over my kitchen — and my living room. But we weren’t finished! To top it off, she left a cow liver in the hallway! That’s not all! A year earlier, when she had puppies, she broke out of her carefully constructed kitchen kennel, and had a puppy in every room before we got home! So point 1 is this: cats make cat-sized messes. When a dog makes a mess, it can change your family vocabulary forever: “Life is rough, and then your dog eats butter.” Check. Point 2: The worst thing a cat will do to a visitor is ignore her. But when visiting dog-occupied homes, I’ve experienced a number of horrific scenarios — the large dog that hates me and wants to kill me, the large dog that loves me and want to slobber all over me. Or the VEEERRRY large dog who thinks I smell reeeally greeeaat, and would love to smell me more, forcing me to push its huge face (where the teeth are) away, at risk of great physical harm. Finally, there’s the small dog who sees me as a threat and barks loudly and constantly, threatening to bite if I so much as move. Yip yip yip, yip yip! Yip, yip, yip, yip yip! Yip yip!! Why do I like cats? Because they know how to shut up!! Plus, they\’re soft and cuddly, don\’t need a lot of attention, and can be left alone for a weekend with a bowl of Special Kitty and a dripping faucet. A cat is like a stuffed animal with a personality! We get ours fixed and train them to go to the bathroom outdoors, then sit back and enjoy the benefits — which include killing massive numbers of rodents (ridding the world of potential epidemics), with no thanks asked in return. A recent study says that cats can even prevent heart attacks! Maybe it’s the calming effect of not having to clean up butter puke and roadkill. By the way, Dave, your rook\’s in the hall closet. Love you, bro — checkmate. 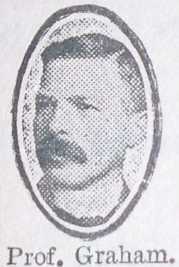 Wallace P. MacSweet. Liberty Diefenbaker Proton Fay. Lady and the Tramp. Rin-Tin-Tin, Lassie and Ol’ Yeller. Benji, Air Bud, Underdog, Chance, and Shadow, to mention but a few. Time fails me to tell of all the shining examples of dogs who have distinguished themselves in the annals of human history through their loyalty, bravery and undying devotion. When the Phantom needs a sidekick, does he turn to anyone but Devil to watch his back? Where would Charlie Brown be without Snoopy? And speaking of Snoopy, does he content himself to lie around eating up the family food budget, producing nothing but fertilizer? No. He is a certified war hero and flying ace, an attorney, and a hockey player to boot. What does the cat world have to set against this? A lazy, fat, lasagna-eating, hairball-hacking fleabag that takes every opportunity he can find to embarrass and humiliate his owner? And which side was Catwoman on in the epic battle of good and evil in Gotham City? The dog has always been regarded as man’s best friend. Whether it’s for companionship, protection, or a hot meal in a pinch, dogs have always been the one animal on this planet that man could turn to in a time of need. Imagine running the Iditarod across the frozen tundra, temperatures hovering near 50 below, and your life depending on a pack of . . . felines. If you ever even got a cat into Alaska, you certainly could never get it to leave the house in those sub-zero temperatures. Dogs are domesticated friends, fellow laborers in all our troubles. Cats are parasites, who somehow attached themselves to the human race long ago, finding a soft place to sleep and free food. Dogs are working animals. Blind people use seeing-eye dogs to navigate the world, and policemen use specially trained dogs to search for drugs, firearms, and explosives. Dogs control crowds; they find escaped criminals and lost Boy Scouts. Ranchers use dogs to round up sheep and cattle — nursing homes use them to improve the mental and physical health of the elderly. What do cats do, again? Oh yes, nothing. Please welcome our newest Bweinh!tributor — Kaitlin! Hers is the latest post in our testimony series. I am a reader. This is appropriate, since I am also a literature major. Through books, I relate to the world. I take the commonality of the human condition as a given ”” we are all essentially the same; we all want essentially the same things in life. So when other humans have painstakingly distilled their own lives and beliefs into a finely crafted text, I think it only right that I take a sip. And so I have tried to taste widely and conscientiously. At times I have spit out bitter mouthfuls of bad philosophy, or set down lukewarm cups of tepid thought. But occasionally I find a refreshing glass of clear, lucid wisdom. I have often wondered whether it would be intellectually reasonable of me to assume the mantle of Christianity as so many others have, adhering to it unquestioningly, merely out of tradition. And then I found that G.K. Chesterton had already thought of this. “Tradition means giving votes to the most obscure of all classes, our ancestors. It is the democracy of the dead. Tradition refuses to submit to the small and arrogant oligarchy of those who merely happen to be walking about.” If we truly are all the same, why couldn\’t the answer that Pascal or Aquinas or Luther or any other of the millions of thinkers throughout Christian history had found be the same one to satisfy my own yearning? But what about those who hadn\’t accepted this explanation? One of the most condemning objections to Christianity from its inception has been the “problem of pain,” as C.S. Lewis described it. We\’ve all asked these questions. If there is a God, why is there so much suffering in the world? How could a truly good God allow such horrendous things to happen? Do you know what these works tasted like? They retained the flavor of another book I had read, one that had told me that behind all these words, there was the Word. There is little that has become more true to me than that I must work out my own salvation with fear and trembling. I want to understand what I believe, that I may indeed always be ready to give a defense to everyone who asks me, a reason for the hope that I have. 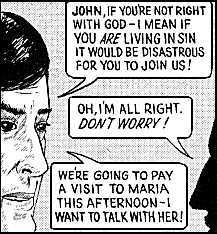 What will NOT appear in this tract? Best of Steve — Another Way to Think . . . 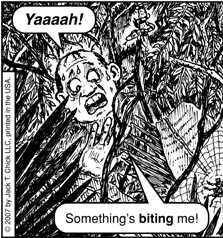 Originally published April 12, 2007. What if we consider original sin and evolution as synonymous? The Genesis account tells us God created plants and animals of all types, then human beings, whom he ordered to “be fruitful and multiply; fill the earth and subdue it.” The “crafty” serpent enticed Eve to disobey God’s commands, promising: “Your eyes will be opened, and you will be like God, knowing good and evil.” At its heart, this is a twisted desire for self-improvement — removed from God’s manifest presence, man instead attempted to become like Him. And in addition to this knowledge and power, Adam and Eve were cursed by God in the areas of (among other things) reproduction, relationships, food provision, and lifespan. Evolutionary biology suggests that the ultimate goal of every organism is to propagate itself — to gain safety and comfort, but more than anything, to ensure its genetic code is replicated as often as possible before it dies. But there is no indication that death existed before the fall; the restoration of communion with God is indicated in the Bible in vignettes where lions and lambs lie down together in safety, where neither tears nor death have any place. I agree with many of the observations of evolutionary biology, and here I extend them, to argue that the immediate and continuing outcome of the fall of mankind, as told in Genesis, is functionally equivalent to the predicted results of evolution. Desires for pleasure that war within us: lust, murder, envy, greed. Faced with limited resources to share and limited opportunities to reproduce, newly enlightened man was foisted into a constant race to improve and compete — and there we have both the blessing and the curse of the “knowledge of good and evil,” for the very nature that pushes us to improve also tragically destines we will forever fall short of our goal. And in the meantime it gives us a world where greed, overconsumption, pride and promiscuity often seem to be the ‘right’ strategies. The crafty ones. The renewal of eternal communion with God will eliminate the desire for every counterfeit. Previous comments can be found here. Last week’s Bible study was on Luke 12. That passage is my favorite in the whole Bible, so I\’d been looking forward to it ever since I heard we were doing Luke. However, college ate my life and I had no time for the Bible study. But I will not be deterred! I want to share with everyone what that passage has meant to me these last few years. My father died when I was seven, leaving my mom, my sister and me with Social Security checks to take care of us. We lived off of those for several years, but we always knew that when I turned 16, my mom\’s check would stop, and when my sister and I turned 18, our checks would stop. I turned 16 the same year my sister turned 18, and that year my mom lost her job. She didn\’t find another one until after that last check stopped coming. I cannot describe the fear we faced every single day for those two years, both together and in our own worlds. I remember staying up nights, terrified that we would have to give away our animals and everything we owned, that we would have to leave our apartment and live in our van, that we would starve. I remember the November the electricity bill was somehow $400, and my mom forbade us to turn on the heat or use the oven, and constantly yelled at us for having too many lights on. I remember the Pop Tarts for both breakfast and lunch, and running out of milk or bread near the end of the month and having to wait until the 1st or 2nd to get more. But most of all, I remember being so afraid, always so afraid. I do not remember going hungry. I don\’t remember going thirsty, or without decent clothes. I don\’t remember ever going to sleep without a solid roof over my head. I was helpless with worry those two years, but at least once a week I read Luke 12:22-34, and later committed it to memory. Experience has impressed on me the passage\’s truth. I have never gone hungry for lack of food. I have never been without clothes or shelter. And though I worried, I\’m sure I did not add a single moment to my life by doing so. God is faithful. It\’s taken me a couple of years to get to the point where I can finally write those words and actually believe them, but God is faithful nonetheless. Luke 12 didn\’t teach me that — I had to learn it myself — but the passage certainly reminds me of the truth whenever I forget. If you picked “Screaming, Maria attacks the man,” you’re a winner! !